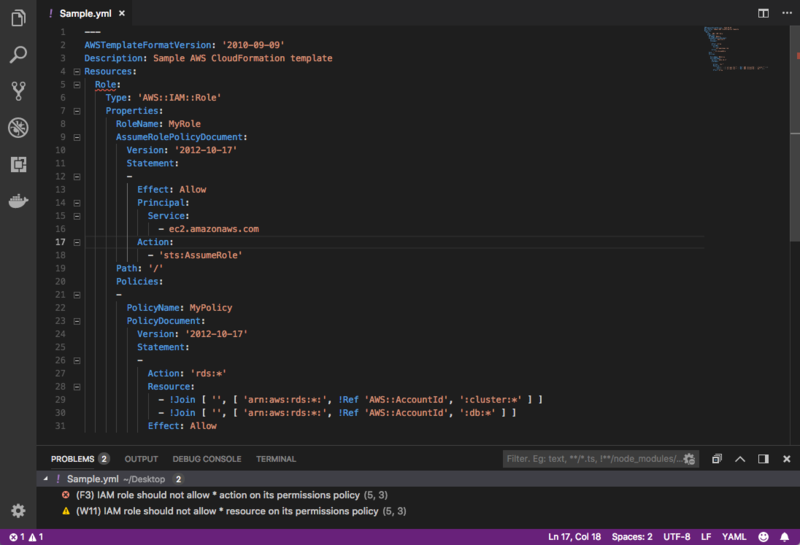 Visual Studio Code>Linters>Cfn-Nag LinterNew to Visual Studio Code? Get it now. Integrates cfn-nag tool into VSCode. This is a Visual Studio Code Extension for running cfn-nag to lint your CloudFormation templates. Uses cfn-nag to parse and show issues with CloudFormation templates. For example, if you define a Resource named Role and specify a resource with an asterisk or an action with an asterisk, errors and warnings are reported.